Snapchat is wildly popular with teens. 32% of US teens ages 13-17 use Snapchat on mobile phones. Because of the “self-destruction” feature, some teens and tweens think it is a safe way to engage in sexting. 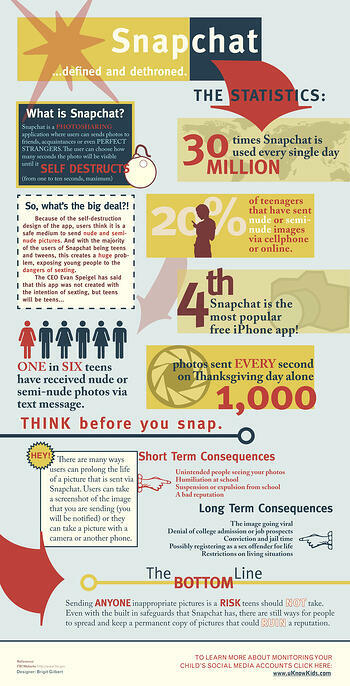 Discover more on the "sexting" app and find out how you can prevent your teens from using Snapchat to sext!